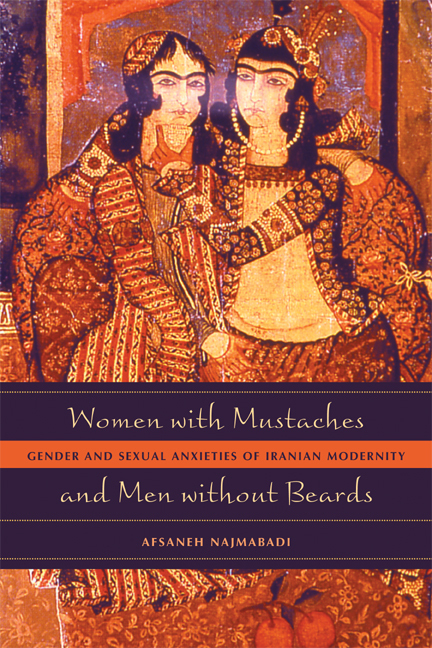 Drawing from a rich array of visual and literary material from nineteenth-century Iran, this groundbreaking book rereads and rewrites the history of Iranian modernity through the lens of gender and sexuality. Peeling away notions of a rigid pre-modern Islamic gender system, Afsaneh Najmabadi provides a compelling demonstration of the centrality of gender and sexuality to the shaping of modern culture and politics in Iran and of how changes in ideas about gender and sexuality affected conceptions of beauty, love, homeland, marriage, education, and citizenship. She concludes with a provocative discussion of Iranian feminism and its role in that country's current culture wars. In addition to providing an important new perspective on Iranian history, Najmabadi skillfully demonstrates how using gender as an analytic category can provide insight into structures of hierarchy and power and thus into the organization of politics and social life. Afsaneh Najmabadi, Professor of History and of Studies of Women, Gender, and Sexuality at Harvard University, is author of The Story of the Daughters of Quchan: Gender and National Memory in Iranian History (1998), among other books. 8. Women or Wives of the Nation?